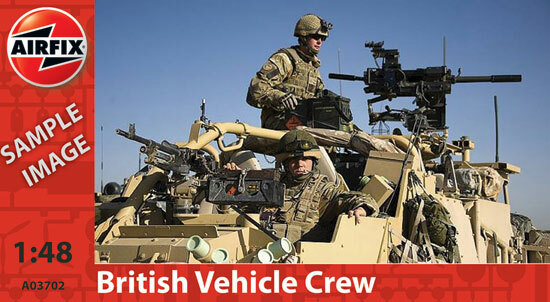 The crews of vehicles operating in Afghanistan have to be fully alert to the dangers they find on a daily basis. Operating in the extreme conditions the crews are fully trained in all the tasks they are asked to undertake. This set of 8 figures are suitable as drivers and other on-board crew, as well as maintenance teams, extending the opportunities for dioramas with the Land Rovers, Jackal and Coyote.